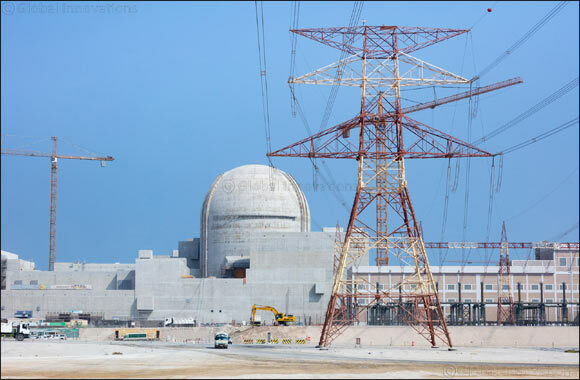 Abu Dhabi, UAE – 16 December 2018: The Emirates Nuclear Energy Corporation (ENEC) has successfully completed Cold Hydrostatic Testing (CHT) at Unit 3 of the Barakah Nuclear Energy Plant in Abu Dhabi, UAE. The testing, which is a crucial step towards the completion of Unit 3 of the 4-unit Barakah plant, incorporated the lessons learned from Units 1 and 2 and represents a significant milestone in the development of the UAE Peaceful Nuclear Energy Program. Prior to the commencement of CHT, Unit 3's Nuclear Steam Supply Systems were flushed with demineralized water, and the Reactor Pressure Vessel Head and Reactor Coolant Pump Seals were installed. During the Cold Hydrostatic Testing, the welds, joints, pipes and components of the reactor coolant system and associated high-pressure systems were verified. As a part of CHT, the pressure inside Unit 3's systems was increased to 25% above what will be the normal operating pressure, demonstrating the quality and robust nature of the Unit's construction. “Step by step we are moving closer to achieving our goal of supplying the UAE with clean and reliable electricity to power its future growth and development, while maintaining our track record of safety and quality,” concluded Al Hammadi. Throughout the testing process, inspection teams from Korea Hydro and Nuclear Power (KHNP), the Korea Electric Power Corporation (KEPCO), along with ENEC and Nawah Energy Company (Nawah) commissioning oversight and quality surveillance personnel, performed detailed system inspections, verifying no component and piping system leakage. Earlier this year, ENEC and KEPCO successfully completed all major construction work including major concrete pouring, installation of the Turbine Generator, and the internal components of the Reactor Pressure Vessel (RPV) of Unit 3, which paved the way for the commencement of testing and commissioning. The project at Barakah is progressing steadily and as of the end of October 2018, Unit 3 is more than 86%, while overall progress rate of Units 1 to 4 is more than 91% complete. All four units will deliver, clean, reliable and efficient electricity to the UAE grid, and prevent the release of more than 21 million tons of greenhouse gas emission every year.